Chapter one, line one, new autodogography. I am off to the City of Water to do some research. 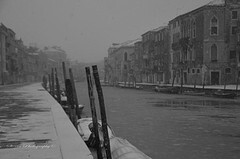 Venice in January: like an iceberg in a snowstorm and tourist-free. Steamy bars laden with the scent of tobacco and milk chocolate. 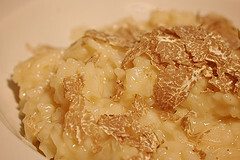 Trattorie packed with bodies warming to a plate of squid-ink pasta or creamy truffle risotto. Gondolieri standing in their boats, wrapped up like winter hams, waiting for business. Ice between my toes. Frost on my snout. 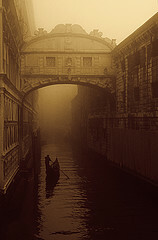 Pregnant mist pushing its long, fleshy fingers between the towers and canals. I know only roughly (or ruff-ly, as is the case) my plot. 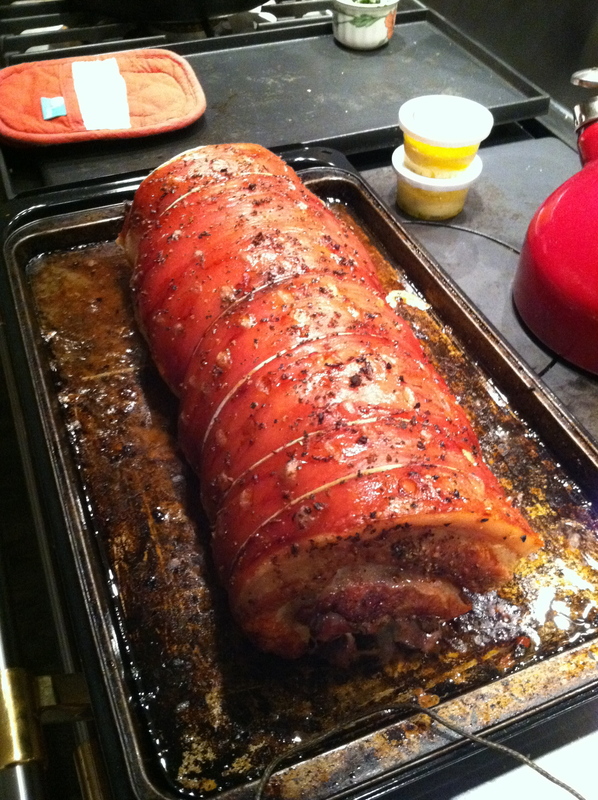 Certain things have to occur: suspense, romance, danger—and magnificent meals. 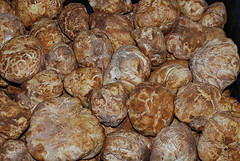 Truffles will take part as it is winter in northern Italy. 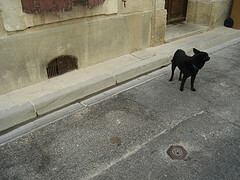 And a French-African Chihuahua I once met will play in. 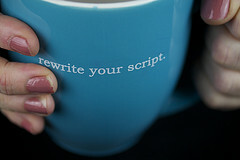 Write what you know is what I say, until you no longer know. Then make it up. It’s fiction. All life is a type of fiction, after all. And the living, nothing more than writers. Comforting to know one can always change the ending. All dogs understand this. The ending is always owned by it’s writer in more ways than one. Driving in the big grey car with the butter-soft leather seats and the whole vehicle smalls of truffles. The Contessa holds them in a glass jar full of risotto: A succulent dish that will be served up later with only the truffle scent hinting at the current pleasure those kernels enjoy. Now, we carry the prize to uncle Giglio in Rome. 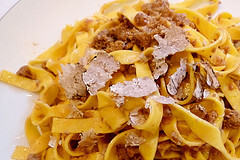 He will use the truffles in his famous linguine for one night only. Customers and friends in the know will line up at his trattoria doors promptly at 8:30pm. We will be there. I sit in the back seat, nose against the chilly window watching the snow fly, drooling at the idea of the coming meal. 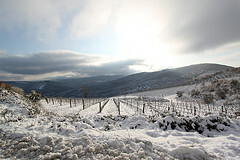 Soon the snow will turn to rain as we approach the Tiber valley and the Eternal City. Good thing, I think, for Roma has no plows. 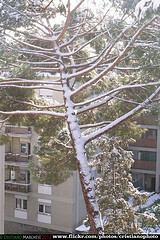 But the snow does not stop by the time we reach the city. The cobbled streets of Rome have lost their etching. Road-noise is absent. The Ferrari tires glide, no, slip along the icy via. The Count swears under his breath as great glazed domes into view. 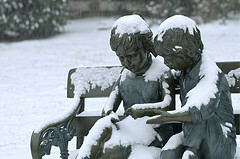 Marble statues wear coats of white mink. The umbrella pines on the Pincian hill stand like bas-relief on a slab of ancient glacier. 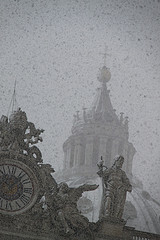 Effervescent Rome is dampened, the bustling city muffled under a white dome more grand than any other in sight. 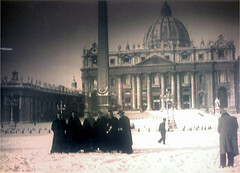 The Count pulls over and we quit the car, walking on the silent cushion of snow toward the most beautiful building in Rome. The Contessa pulls me into her fur coat and we enter the vacant Pantheon. 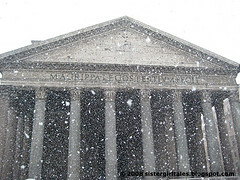 There in the center is a miracle: A column of flakes descends from the oculus as a alabaster pillar and I wonder if this is the way the marble columns of Rome were created. 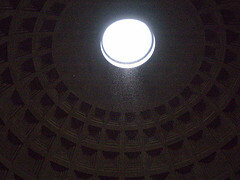 At it’s base the marble floor is blanketed in a perfect round of white, pedestal to the heavenly pillar. 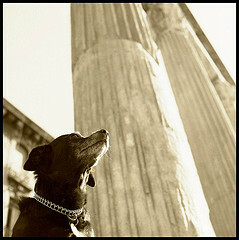 All things a dog sees are miraculous. This is the way of a dog. Every day is new and all things possible. 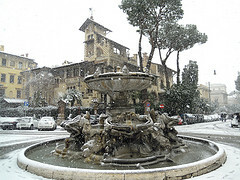 Even “nevica” in Rome and ancient pillars made from snow. Off to truffle hunt this morning. 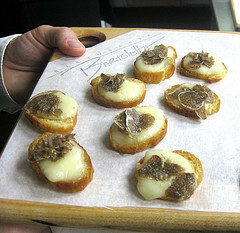 Just as the truffles reach their peak of flavor and scent the season wanes. 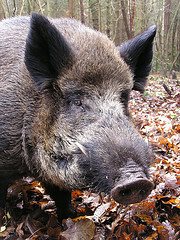 Wild pigs grow irritated at approaching unavailability of those elusive funghi. Soon they’ll be relegated to lesser treasures: Nuts, berries, carrion…and the occasional eyeing of a certain small dog. Morning fog grunts in the background as we make our way through the wood. Leaves crackle under the oak trees hidden in the mist. 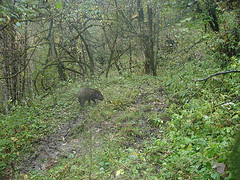 We are surrounded by boar guarding that remnants of those white diamonds beneath the soil. We walk on up the mountain. A half mile beyond we find a large oak, acorns strewn across it’s feet, the scent of truffle hangs just below the mist, dog-nose level. The dig is on. My people sift the dirt landing behind my rear legs. Soon the small, round basket is full. 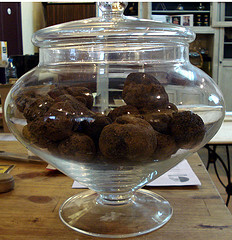 A weeks worth of truffle heaven, secured. Truffled Porchetta; Clafoutis with Morels and Truffles; Truffles Fontina; Fried eggs with Truffle Shavings…Truffle Ice Cream. 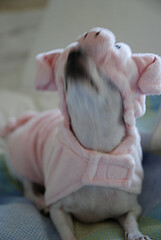 Dog Logic the morning after: To be, one must eat; I eat, therefore, I am; Pigs eat truffles, I eat truffles. You see where I’m going here?